April 6, 2019: After winning the match from New Zealand, Fiji will be facing Argentina in the second quarter-final while South Africa will be facing USA in the first quarterfinal at 3:20 pm at 2:58 pm respectively. In other quarter-final matches, England will face Samoa at 3:42 pm and New Zealand will play against France in the last quarterfinal at 4:07 pm. Fiji showed their respect for New Zealand before the match and those affected by the Christchurch tragedy with a special gift at the Hong Kong 7s. Fijian captain Paula Dranisinukula’s two incredible offloads created tries for Aminiasi Tuimaba and Vilimoni Botitu. A third try from Livai Ikanikoda extended their lead to 19-0 at the half time mark. 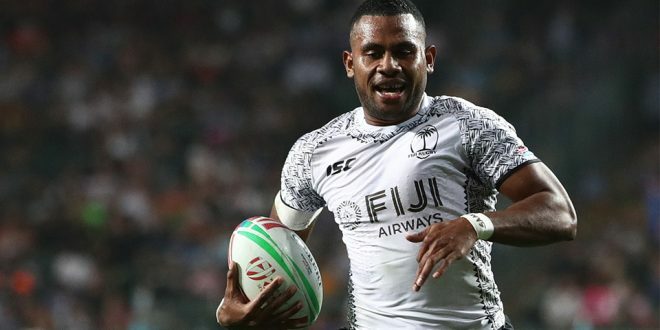 According to the FBC News, Apenisa Cakaubalavu then extended Fiji’s lead 24-0 before Joe Ravouvou scored New Zealand’s consolation try. New Zealand took their offloading game to a new level and their defensive pressure forced Clark Laidlaw’s side into uncharacteristic errors.